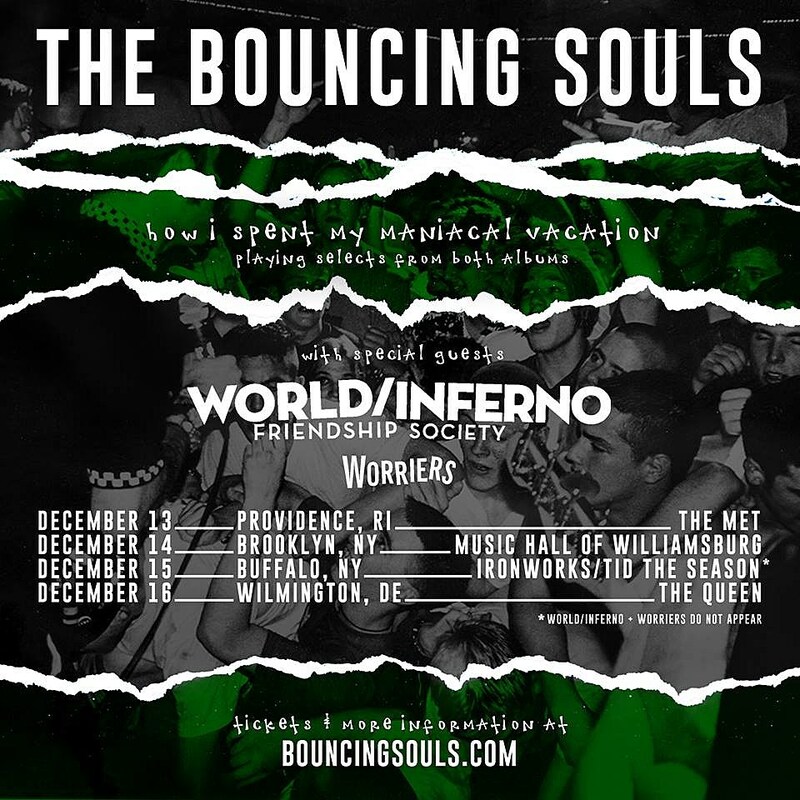 Jersey punks The Bouncing Souls make their comeback with a Northeast tour called How I Spent My Maniacal Vacation. That’s right, that the band will revive material from 1996’s Maniacal Laughter and 2001’s How I Spent My Summer Vacation in one monster setlist.This weekend Bouncing Souls has a gig at Neshaminy Creek Brewing Co in Croydon, PA, about an hour outside of Philly. In December they return with a set at The Queen in Wilmington, joined by cabaret punks The World/Inferno Friendship Society and Worriers. All tour dates are listed below; more information can be found at the XPN Concert Calendar.